I've seen a lot of good, fun movies this year... Wonder Woman, Thor: Ragnarok, Secret Santa, and more. Overall my trips to the theater have all been good. Today, I returned to an old tradition of going to the theater after Thanksgiving meal and seeing a film... and I am so glad I did. Some of the earliest books I ever read were Agatha Christie mysteries. Hercule Poirot stood up there to me with Sam Spade, Sherlock Holmes and Nero Wolfe. And while Ilked David Suchet's series... I never felt we got a good big screen version of the character. My opinion on that has changed. Murder on the Orient Express was brilliant. From Kenneth Branagh's acting as Poirort to his directing, this is likely my favorite film of the year. The cast is superb, the pacing is steady and I walked out of there wanting Death on the Nile to begin filming immediately. Zack Snyder has become a somewhat polarizing figure in comic movies of late. He has been the director of 300, Watchmen, Sucker Punch, Man of Steel, Batman v Superman: Dawn of Justice and the upcoming Justice League film. He has been the main architect of the DCEU since it was handed to him from Christopher Nolan. He is also an executive producer and has story by credit on Wonder Woman film. His movies make money, but tend to be derided by fans and critics for being too dark or not understand the characters. Snyder has recently stepped away from directing reshoots on Justice League due to a family tragedy and director Joss Whedon has stepped in. Now I'm not someone who hated BvS or Man of Steel. I definitely think they could've been better and can see the points that people complain about. But I think a lot of the negativity towards Snyder is based on his interpretation of the characters and their motivations and how that is portrayed in the film. These often differ greatly from what we've seen in the comics over the years. But when you look at Snyder's craft as a director, he is very talented and uses the latest technologies as well as anyone in the industry. Yesterday, Legendary released a youtube video of the opening credits for his 2009 film Watchmen. It's been years since I sat down and watched it, but recently I'd done a table read of the Sam Hamm script so the characters were in my mind. I clicked on the video and realized just how much story Snyder was able to pack into the credits. They're just over five minutes long and are set to the tune of Bob Dylan's The Times They Are A Changing from 1964, and in that five minutes we are shown everything we need to know about the original Watchmen group, how they were heroes but they were brought down through a variety of issues or prejudices. But the interesting thing here is the use of photographs and televisions as framing devices. I occasionally teach classes on comic writing, and one of the things I use to try and convey the major difference between comic scripting and screenwriting is the idea of trying to tell a movie in still shots or photographs. How do you get the important parts into a single image and what you can leave for the readers imagination. That is the approach Snyder uses in these credits. We see decades of American history through quick little photo set ups. Yet we know the history of the golden age Watchmen and the set up for the new ones. Information that is not crucial to the story but adds to the universe that Snyder is bringing us into. Information that Alan Moore felt was needed when he and Dave Gibbons did the original comics. So, in the midst of all this negativity towards Zack Snyder, I wanted to point out five minutes of really strong film work. I haven’t used this space in a while, but I’m going to fire it up again and use it to talk about storytelling. I consider myself a storyteller. When I write, my choices are made to service the story every time. Just because I planned a plot to go one direction, if the story dictates a change then I make the change. It’s not the way a lot of people write, but it works for me and allows for me to write at a pretty quick pace. When I see examples of good story telling, I study it. I try to figure out exactly what the writer or director was trying to do and how the accomplished it. I came across a great 3 minutes of storytelling back in 2012 and watched it many times. 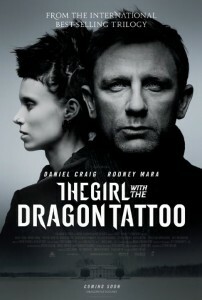 It’s just shy of 3 minutes, but it’s the opening of David Fincher’s film The Girl with the Dragon Tattoo. I’m not going to debate the pros and cons of this version versus the Swedish one or the acting or even the rest of the film. I’m just looking at the first 2 minutes and 52 second. You can watch it for yourself. Now, let’s break that down to what makes it good storytelling. It starts with Daniel Craig descending stairs into a swarm of reporters. He’s trying to downplay whatever just happened while they are making a big deal of this. Fincher could’ve started this inside a courtroom or just outside the door, but he had Craig descending the stairs to show that he has fallen. He’s been knocked from his perch. We immediately pick up on the fact that he’s been taken down a few pegs. But he still has pride and doesn’t address the reporter’s questions other than with sarcasm. You’ll also notice that he is referred to as Mikael by the reporters and he calls one by their first name. He’s connected to these people in some way. We don’t know anything else about him at this point other than something bad just happened to him and he’s connected to the media. We are then treated to a sound collage that doesn’t tell us what happens, but gives us enough key words to pick up that he’s a reporter, he was sued for libel and lost. We learn that he’s a journalist that tends to go up against big corporations. We can also tell that he went up against someone and his evidence either didn’t exist or didn’t hold up. We don’t find out who he went after or what the evidence was, but that doesn’t matter here. It’s kind of a MacGuffin for getting the story started. Mikael Blomkvist needs to be at rock bottom for him to get involved in the rest of the story. Mikael moves on to a sandwich shop and we learn a lot about his personality in a brief amount of time. He walks in and knows exactly what he wants without hesitation. Orders a specific sandwich that’s near the top. Not by name, but by pointing. Is it one he likes or is he grabbing the most convenient one? And he gets black coffee. He’s old school, drinks it for the stimulation. He sits for a moment and starts working, again choosing the closest chair. He’s a singular focus person. Like a dog chasing a car, he sets his sites and moves towards it. Everything else is either fuel or unimportant. The television continues giving us details of the backstory but it’s a little muddled, again not too important. But it cuts to the head of the corporation he just lost too. That gets to Mikael. He doesn’t like losing. It eats at him. He needs to calm down, so back up to the counter. We hear that he must pay 600,000 Swedish Kronas plus court costs. He asks for a pack of Marlboro Reds and after a quick check, a lighter. He’s an ex-smoker, but not completely over it. He has a brand he prefers… again, decisive… and is still thinks he might be carrying a lighter, so he didn’t quit that long ago. But he opens the pack, takes out one and throws away the rest. He believes in himself enough to know that one won’t take him off the wagon. He is used to being in control of himself and everything around him. From there we follow him back to the office where everyone stops what they’re doing and stare at him. He is respected and looked up to by his peers, but not well liked. They’re not his friends. If anything, they’re a bit in awe of him and now he’s fallen. They don’t know what to say. And he doesn’t like them. No comment to make them feel better, just a quick “yeah” and then up the stairs. He is detached from all his co-workers but one. Erika Berger, his editor and the woman he’s having an affair with is the only person he talks to. We see that she isn’t to be messed with when she sends an employ away with a firm gesture. She’s the boos. But even with her he downplays what happened. She tries to take some of the pressure on herself, but he takes it back. This is all on him and he’d have it no other way. He won’t take her down with him. We get the affection when she moves in to his personal space. Not a hug or a kiss, just an intimate closeness. It’s too close to be mistaken but not a full-on display of affection. His comment about being tired and wanted to climb into the duvet for a week, that’s as close as he’ll ever get to admitting he feels like crap. Her response is she’ll tell Gregor she won’t be home… they don’t live together. She is involved in another life… hence it’s an affair. We cut out of that scene to a magazine cover of Blomkvist in cuffs. It’s his own magazine, Millennium. We know that not because we were told, but because it was on the building and the door when he entered his work. In less than 3 minutes we learned everything we needed to know about Mikael Blomkvist and can move forward to the next character. Blomkvist is a dedicated writer who likes to take on corruption and greed. He has a dogged determination and is willing to risk everything to win. Everything outside of his crusades is unimportant. He goes with the most convenient things… the top sandwich, the closest chair, the married woman in his office. If you were to translate this to a comic book, you could do it in twelve panes over two pages. Panel Two: Surrounded by reporters, Mikael waves off questions. Panel Three: Leaving the reporters behind. Panel Four: Inside sandwich shop, ordering top sandwich and coffee, TV on wall. Panel Five: Corporate head on TV. Panel Seven: One cigarette in mouth, tossing the rest of pack away. Page two – Panel One: Going into Millenium. Panel two: Going up stairs as everyone stares at him. Panel four: He leans against wall, a bit defeated. She stands in front of desk. Panel five: Intimate moment as they touch foreheads. Most of the dialogue still works and you use captions for the news reports. You save the magazine cover reveal for the first panel of the third page. It’s a nice transition to the next character of Lisbeth Salander. Fincher made some amazing choices in this movie and I’m disappointed that the sequel didn’t happen. I’ll be back, somewhat soon, with some more storytelling tips or breakdowns. I am horrible at self-promotion. I am basically an introvert who would prefer to be at home writing and creating new stories than going out and promoting myself or networking. Don’t get me wrong, I like people and I enjoy meeting readers and creators and talking about the industry… but it takes a lot out of me. Where I get recharged by writing, playing music and doing photography. I’ve had folks tell me I need to promote myself better… and I notice it when I’m talking to someone in the industry and they ask what I’ve done. Most of the time they are surprised at how much work I’ve done and how long I’ve been doing it. I seem to be the best kept secret in comics. I’ve written an episode of Metal Hurlant Chronicles and script doctored two others. Had a photography book published by Goliath Books and I’ve written two Lucius Fogg novels published by Dark Muse Press. So I’m putting this out here because my goal is to move forward. I want to continue to work with the above publishers, but over the next year I would like to add Marvel, DC, Dark Horse and Boom to the mix… or at least two of those. I also want to do more TV/Film work. Watch the Shelter Me episode of Metal Hurlant Chronicles… the one with James Marsters and Michelle Ryan… that is my story, those are my words. I’ll be pushing more on my prose work. More Lucius Fogg novels and something completely new is in the works. I am going to make a concentrated effort to be everywhere working on everything over the next year. And if you are an editor, publisher, TV producer, director, studio exec or agent… You’ll be hearing from me soon. I’ve been watching the NFL for years and following the draft since 1996. Each year I mentally figure out who I think each time will pick and read all the ‘Mock Drafts’. I don’t know what makes someone qualified to make a mock draft… who is Mel Kiper anyway? Regardless, I decided I was going to sit down and do my own mock draft. Once I had it done, I figured I’d share it along with my reasons with the world. If you are a football and draft fan, you’ll notice my mock doesn’t start with Jadeveon Clowney nor does Johnny Manziel show up in the first round. I think the “win now” attitude of the league along with how coaches are hogtied to their picks will make for a few less reaches. I don’t see a clear cut top 10 quarter back nor do I see hands down first pick. I think the issue of Clowney’s taking plays off and poor senior season will affect his placement. Where I think the question of the competition Khali Mack played against goes away when you look at the actual numbers he produced. That said… I didn’t take into account trades though I think it’s likely the Falcons will try to move up and get Clowney, especially if he isn’t the first pick. If my first three are right then I almost guarantee Atlanta jumps over Oakland to get the DE. Here is my list, we can see on Thursday how right or wrong I am. 1) Khali Mack – Houston Texans If they don’t trade out of this spot then I think they are going to take Brown as he is the better fit in their system and is known as a high motor guy. 2) Sammy Watkins – St. Louis Rams This is the last chance for Bradford to prove himself and Fisher has to give him weapons. 3) Greg Robinson – Jacksonville Jaguars This is a tough pick but their need at O-line is too strong to pass up on Robinson. 4) Jadeveon Clowney – Cleveland Browns The media will make a lot about this, but Clowney’s drop in production last year made him drop in the draft… but he’s too good to drop far. 5) Jake Matthews – Oakland Raiders At this point I think Matthews is a bit better than the rest and will get the nod from the silver and black. 6) Taylor Lewan – Atlanta Falcons There may be depth at OT in this draft, but keeping Ryan on his feet is too important to wait on. 7) Zach Martin – Tampa Bay Buccaneers If you are going into a season with a journeyman quarterback, you need to give him all the time you can. 8) Blake Bortles – Minnesota Vikings Bortles has the most pure upside and is in the same mold as the last time the Vikes had a good QB back with Daunte Culpepper. 9) Mike Evans – Buffalo Bills Evans makes the Bills one of the best receiving corp in the AFC and is a great way to help a second year QB. 10) Justin Gilbert – Detroit Lions Detroit has the offense to win games but the defense needs help in the secondary and Gilbert will fit the system. 11) Eric Ebron – Tennessee Titans Every team needs a great tight end and Ebron is too good to let drop any further. 12) Aaron Donald – New York Giants The Giants go with need and pick up the big defensive tackle here. 13) Ha Ha Clinton-Dix – St. Louis Rams Fisher already improved the offense, grabbing the best safety now is a no brainer. Two of their three big needs covered. 14) Darqueze Dennard – Chicago Bears Bears need to seriously upgrade their secondary and Dennard is as close to a steal as you get at this point of the draft. 15) Anthony Barr – Pittsburgh Steelers The Steelers need to get pressure on the opposing quarterbacks so Barr makes a lot of sense right here. 16) Calvin Pryor – Dallas Cowboys Cowboys need major help on their D-line but safety is a problem as well and Pryor is a good fit. 17) C J Mosely – Baltimore Ravens Ravens have always been built from the linebackers out and it’s time to start refilling the cupboard. 18) Brandin Cooks – New York Jets Cooks is a good possession receiver for a second year quarterback like Smith to build with. 19) Morgan Moses – Miami Dolphins After last year’s O-line implosion, the Dolphins have to address it in the draft and Moses has a lot of upside. 20) Bradley Roby – Arizona Cardinals Corner is the biggest need for the Cardinals and Roby is a bit of a stretch but he fills that need. 21) Odell Beckham Jr – Green Bay Packers Adding new targets for Rodgers is almost unfair to the rest of the NFC North, but they’re going to do it anyway. 22) Ryan Shazier – Philadelphia Eagles Eagles needs to shore up their front seven and Shazier will bring some nice pop to the linebacking corp.
23) Marqise Lee – Kansas City Chiefs Alex Smith needs some new targets with some of the offseason departures and Lee will work well in their system. 24) Kyle Fuller – Cincinnati Bengals One of the better defenses in the league gets to plug one of the few holes here with Fuller. 25) Jason Verrett – San Diego Chargers San Diego really needs a corner so they are willing to reach a little here to make sure they get their need filled. 26) Teddy Bridgewater – Cleveland Browns The last coach got fired after one season. There’s no way you take a risk at QB. Bridgewater is the most likely to start day one. 27) Kyle Van Noy – New Orleans Saints This isn’t their biggest need but it’s the best player available that fills a need. 28) Cyrus Kouandjio – Carolina Panthers Gettleman proved last year that he likes to bulid from the line and isn’t worried about possible health problems. 29) Kelvin Benjamin – New England Patriots This may be the happiest day for Brady since he met Gizelle. A big, strong wide receiver can put the Patriots back on top. 30) Ra’Shede Hageman – S F 49ers Best player available at a position of need. No sense reaching for a center or a wide receiver here. 31) Chris Borland – Denver Broncos Fox has to work on getting the defense up to match the offense if he wants to avoid games like the Super Bowl. 32) Cody Latimer – Seattle Seahawks Latimer is a good choice to pick up for Tate without getting a lot of pressure put on him. LUCIUS FOGG: WHERE HAS HE BEEN AND WHERE IS HE GOING. Okay, maybe we should start with “Who is Lucius Fogg” for those who don’t know. Fogg is a series of novels that I started writing live on twitter a couple years back. They feature occultist Lucius Fogg and his personal detective Jimmy Doyle set in a 1950’s New York City where the supernatural exists in every shadow and dark alley. Doyle is the every-man brought into this bizarre world and he narrates the cases he takes on behalf of his enigmatic boss. Originally Fogg was created to be a chapter book series for Cellar Door Publishing back in 2005 and I wrote the equivalent of a novella that I called: “Three Little Ladies All in a Morgue.” The chapter book project never took off but I enjoyed writing the characters so much that the desire to do more with them never left me. Years later a few things happened. In 2009 I needed something for my table at Comic-Con so I printed up fifty copies of the novella. The feedback I got on the book was so positive that the desire was rekindled. My best friend, Lisa Worby, kept asking when there would be more Fogg and author James A. Owens came by to tell me that there needed to be more Fogg. It was in my mind, but the final piece needed came a year later as I met Salome Jones. She had a desire to be an editor and in our discussions I got the wild idea that I should do another Fogg story, but I was going to do it live on Twitter. I used the original novella as the base and started writing every day with the world watching. Having the instant feedback was exciting and pushed me to complete it and by Halloween of 2010 I had a completed novel professionally edited by Salome. I started shopping it around to agents and got a few positive responses but overall no one bit. So in the summer of 2011 Lucius Fogg: Deadly Creatures became an e-novel. And a few months later, with Salome’s help, it was joined by Lucius Fogg: Malicious Intent and a third novel began to form in my mind. I had a plethora of story ideas I wanted to get to. And then around March of 2012 a few things happened that knocked the wheels off the Fogg express. So where is Fogg going? That’s what I’m in the process of figuring out. I want to write the characters again. I want to hear Jimmy’s voice in my head and on the page once more. And by the reaction I got there are plenty of you that want to read more about the boys. So there are some things I’ve already put into motion and things that I’m trying to decide. First are the covers. I have used two different covers for the books so far. The original black & white covers drawn by Tone Rodriguez and Brent Peeples respectively and then the photos covers featuring models Sara Liz and Divinora Darling. Well, two days ago I posted about needing an artist and an old friend responded immediately that he would be happy to do new ones for me. He’s a painter and can do some amazing work. I’m very excited to see what we can come up with. He’ll be doing covers for the two completed novels and the next one. If it all works out I may have enough dirt on him to keep him around for any future Fogg novels as well. So the first part of my plan is for the novels to get a facelift. Second part has to do with the e-books and the availability. Amazon has some amazing promotional tools that you can use if you go exclusive with them. I’ve decided to do just that. For at least the next 90 days both Deadly Creatures and Malicious intent will be available exclusively through Amazon.com. And with that I’ve put together this weekend’s Fogg Event or as I like to think of it, “Introduce Your Friends to Fogg”; but more on that in a minute. Bottom line, I’m going to be pushing the e-books again and would love any help I can get on that. I also want to get the books into print. Yes, I want there to be physical copies of Fogg out there in the world. Now I just have to figure out how to do that. I’ve tried the ‘get an agent and let them find a publisher’ route but being an old comic pro, that way just doesn’t work for me. Jumping through hoops to get someone to then go out and try to sell my book for me. I’m more of a hands-on guy. So my options become find a publisher myself (maybe a comic publisher), fund a print run on my own or go with a print-on-demand website. All of these are viable options that I am exploring and I hope to have a decision on that in the next few weeks. I’ve got a few publishers I’m trying to talk to and a couple P-o-D sites I’m checking out, but the other option leads us to the next thing I have to think about: Kickstarter. Kickstarter is an amazing tool that when used right allows a creator to do work that might otherwise never be seen. So how do I use it? Do I put together a campaign to raise enough money to do a print run on Deadly Creatures? Maybe I should print Malicious Intent? Shoot for enough to print both? All of them are good possibilities. Another option would be to use Kickstarter to fund the writing of the third novel. Other authors do that. Ask for enough to cover the time it would take to write the book and to pay the editor then release a digital copy to everyone who donated. There are so many options that I’m really not sure what the best approach may be. I’m going to ask around for advice on this. So this is where we are at, new push on the e-books along with going exclusive with Amazon for at least a while. There will be new covers and maybe even some pin-ups if I can twist a few arms from some other friends. There will be printed copies of the first two novels available in the near future with how and quantity to be determined. And there will be a new Fogg novel this summer. I will most likely fire up the Fogg Twitter account again and tease some of the work on there. I may even put together an audio version of Deadly Creatures read by… ME. I’m told I have a good voice. I may even have another surprise up my sleeve, but I’ll save that for later. That leaves us this weekend’s event. Starting at midnight tonight and running through Sunday March 17th, Lucius Fogg: Deadly Creatures will be available for free on amazon.com. If you read the book when I wrote it on Twitter, there is so much you missed. If you haven’t gotten a copy for your kindle yet, now is your chance. But this is also a great time to introduce your friends and family to Fogg. Send them the link or even gift them the book. Convince them that their life isn’t complete until they know about Lucius, Jimmy, Sea Bass, Conrad, Ravenstorm and Tiny. The more people that read the first novel help improve the chances of a fourth, fifth and more. I will post a specific link to the book once the price drops so you can introduce Fogg to the people you care about. Please help me spread the word. And I have to acknowledge that Fogg exists because of you, the readers. You inspire me, you drive me and you make me want to be better and work harder. You are as much part of this as I am. Together we can make Fogg successful. You tell your friends and I’ll write more stories. I did a Lucius Fogg micro-story today in honor of my 15,000 tweet. I share it with you now. Lucius Fogg: Mystery of the Nine by Dan Wickline. “Leave them alone, Jimmy.” Fogg said to me as I saw the nine keys sitting in the glass case. But my curiosity was too strong. “But what are they for? There must be nine locks somewhere.” I gazed at each golden key as they lay upon the crushed red velvet. “How do you know which goes to which?” I had noticed that each key was identical down to the tiniest imperfection. I put the case back into the safe and closed the door. I was content with the world I lived in and would leave paradise to the dreamers.